I watched this animation film Zootopia (2016) with my wife and son, who highly recommended it. As usual its a simple story told with the Disney magic touch. 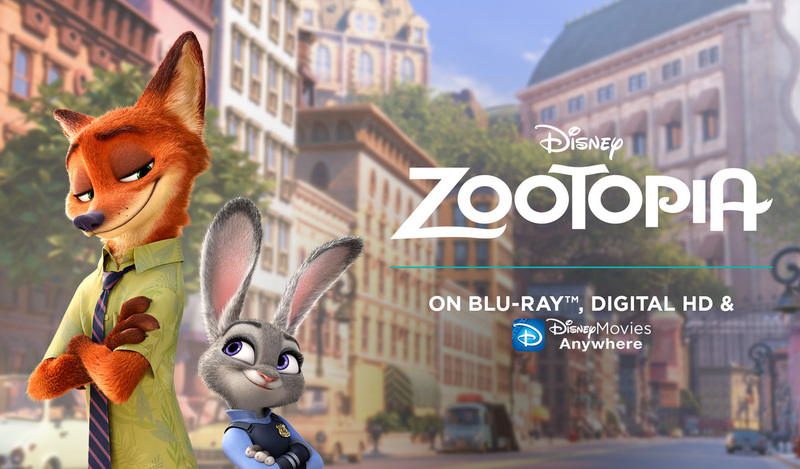 It’s about a little bunny “Judy” who wishes to become a police officer and work in Zootopia city, an utopian city where all animals – both predators and prey live together harmoniously. Judy dreams of going there as she believes in Zootopia anyone can become anything they wish. Over the years Judy trains hard in the Police academy to become a Police Officer, on her first day of duty she realizes no one including the police chief take her seriously as they find it hard to see a small animal like Rabbit working as a police. She gets assigned a parking ticket duty, where she meets a con thief fox called “Nick”. As Judy was looking to prove herself in the police force, she manages to get a tough case of a missing Otter. With no support from the chief, but with the help of Nick she solves the case. The case turns out to be a big one which begins upsetting the whole balance of the city with Predators being seen as savage creatures. What happens next and how peace returns to Zootopia is rest of the story. Most of the animals appear cute in the film, I liked the obese cheetah Officer Benjamin Clawhauser who mans the front-desk in the police headquarters and eats donuts all the time.